Why limit your reward point earnings by shopping for cake decorating supplies anywhere else? Every time you make an online purchase with Glasshouse Cakes & Supplies you will earn Glasshouse Reward Points!  For every $1 you spend purchasing online products - you will earn 1 point.  Keep earning unlimited points that never expire. Example: You purchase $80 worth of products with us today and $120 on products next week  You will automatically earn 200 Glasshouse reward points. Your Glasshouse reward points balance is now yours to both save and accumulate or to spend with your future online orders. There are NO fees. NO contracts to sign. NO hidden terms and conditions. You can start earning points right away and they last forever. It's simple! 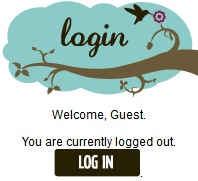 At any time, you can check your Glasshouse reward points balance by logging into your account online. Glasshouse reward points are not transferable and not exchangeable for cash. You can earn and redeem Glasshouse reward points only with online products purchases. Points are not earned on shipping costs and shipping costs are not redeemable with reward points. How Many Rewards Point Do I Have? 2. Once logged in your reward point balance will also be shown on the right hand side menu until you log out of your account. How Do I Redeem My Glasshouse Reward Points? 2. Choose the products you would like to order and add them to your shopping cart. 3. 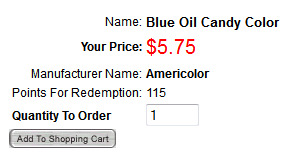 When you have finished adding all your products for purchase select the View Cart Button on the right of the page. 4. On the shopping cart page you will see the product(s) you have chosen and will have the option to purchase any redeemable products using your Glasshouse Reward Points. 5. Select the Redeem link next to the product you would like to redeem, and then proceed to the checkout to place your order and pay for your your shipping costs and other products if applicable. 6. Your points will automatically be deducted from your Glasshouse reward points balance after your order has been placed.